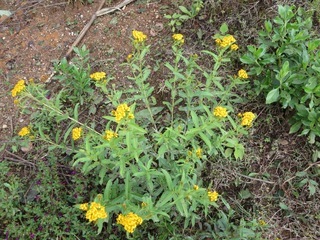 Local wild marigold is the plant used to dye the fabrics in yellow. This plant is harvested in summer and is used fresh. We use indigo from the Istmo region to dye our thread in blue color. The brown color, called café is obtained from oak bark collected in the woods in the Sierra Sur. And we use cochineal to obtain the pink color.